Gum bleeding is very common and many people suffer from it. This is usually caused due to poor oral hygiene, but may also be indicative of other health conditions like pregnancy, vitamin deficiency, scurvy, leukemia or many other kinds of infections. A visit to your dentist is highly recommended, however you can take some steps to alleviate this problem while waiting for an appointment. Most natural treatments at home are safe when taken wisely with a little bit of common sense. Here are some home remedies for bleeding gums. This is the easiest of all home remedies. Salt is almost always there in any kitchen. Use a cup of water and a half tsp of salt. it’s clinically proven to heal and prevent swollen, bleeding gums. Be careful not to use hot water to avoid scalding. Baking soda is another easy to use and readily available home remedy for bleeding gums. Dip your tooth brush in the baking soda powder and brush your teeth normally as you would do using toothpaste, or can be applied on the gums with your fingers. Baking soda is a basic compound and can help neutralize the acid that may be allowing bacteria to flourish in your gum tissue and cause bleeding. Click here to learn more about the baking soda. 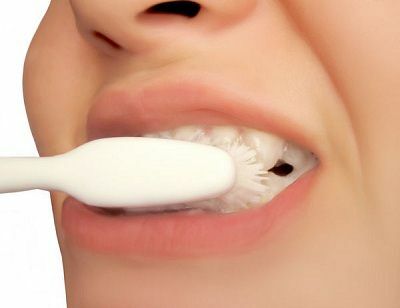 Hard brushing can further damage the soft tissues of your mouth. Soft-bristle toothbrushes are ideal for most people, as they are gentle enough to cleanse your teeth and gums without any irritation or damage. It is very useful against inflammation of gums. The easiest way to take advantage of aloe’s healing properties is to apply aloe pulp directly to your gums. Drinking beverages made with natural aloe vera may also help clear up a mild case of gum disease. If you are not intolerant to lactose and have no other problems relating to drinking milk, then it is one of the best home solutions. Milk is a rich source of calcium, which constantly needs to be replenished to strengthen your gums. Note: dentists advise not to take milk one hour before going to bed. Lack of vitamin C may cause gum problems such as bleeding gums, gingivitis and so on. Fruit like orange, lemon, broccoli and cabbage are the best and rich sources of Vitamin C. Take vitamin C supplements if citrus fruits and juices cannot be taken. These remedies do not replace a dentist’s attention. If you have bleeding gums, visit a dentist. A dentist is the expert you can count on to explain the causes of bleeding gums and to advise a treatment plan.